Pakistan’s “full spectrum deterrence” nuclear doctrine and increasing fissile production capability have increased the risk of a nuclear conflict with India, a Congressional report has said amid Pakistan’s efforts to drum up support for its NSG membership bid. 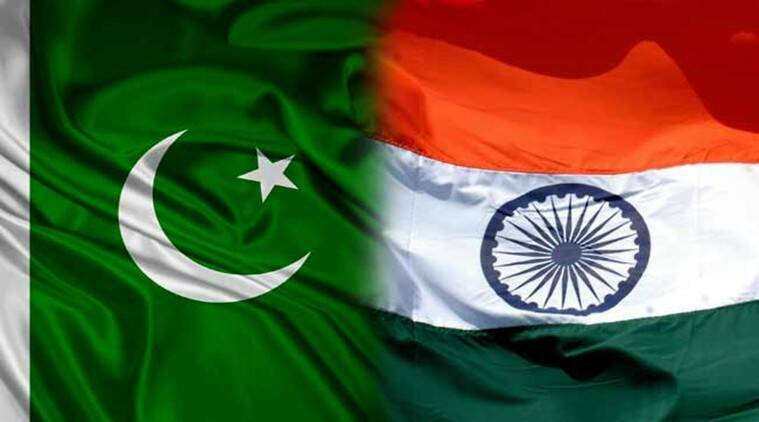 “Islamabad’s expansion of its nuclear arsenal, development of new types of nuclear weapons, and adoption of a doctrine called ‘full spectrum deterrence’ have led some observers to express concern about an increased risk of nuclear conflict between Pakistan and India, which also continues to expand its nuclear arsenal,” the bipartisan Congressional Research Service (CRS) said in its latest report. Pakistan’s nuclear arsenal probably consists of approximately 110-130 nuclear warheads, although it could have more, said the report ‘Pakistan’s Nuclear Weapons’, authored by Paul K Kerr, analyst in non-proliferation, and Mary Beth Nikitin, specialist in non-proliferation. According to the copy of the report dated June 14, which was obtained by PTI, Pakistan’s nuclear arsenal is widely regarded as designed to dissuade India from taking military action against it. CRS is the independent research wing of the US Congress, which periodically prepares reports on issues of interest to American lawmakers for information purpose only and does not represent the official position of the US Congress. Running into 30 pages, the report comes in the wake of Pakistan lobbying at the Capitol Hill and before the US government in support of its membership to the 48-nation Nuclear Suppliers Group. Though noting that Pakistan in recent years has taken a number of steps to increase international confidence in the security of its nuclear arsenal, the CRS report observed that instability in Pakistan has called the extent and durability of these reforms into question. “Some observers fear radical takeover of the Pakistani government or diversion of material or technology by personnel within Pakistan’s nuclear complex. While US and Pakistani officials continue to express confidence in controls over Pakistan’s nuclear weapons, continued instability in the country could impact these safeguards,” CRS said in its report meant for the lawmakers to take an informed decision. CRS said the current status of Pakistan’s nuclear export network is unclear, although most official US reports indicate that, at the least, it has been damaged considerably. Referring to Pakistan’s NSG membership application, the CRS said according to US law, the Obama Administration could apparently back Islamabad’s NSG membership without congressional approval. In the past few weeks, top Pakistani leadership including its Ambassador to the US has been writing letters to lawmakers and meeting Government officials to push for its NSG bid. CRS said press reports indicate that the US is considering supporting Islamabad’s NSG membership in exchange for Pakistani actions to reduce perceived dangers associated with the country’s nuclear weapons programme. According to the report, despite Islamabad’s stated wish to avoid a nuclear arms race with India, Pakistan appears to its delivery vehicles in order to hedge against possible increases in India’s nuclear arsenal and also to deter Indian conventional military action. “Indeed, aspects of the credible minimum deterrence doctrine have always been ambiguous and the concept appears to have changed over time,” it said, adding that Pakistani officials have argued that a variety of nuclear arsenals could satisfy credible minimum deterrence. On introduction of tactical nuclear weapons in Pakistan’s inventory, CRS said some observers have expressed concern that such weapons could increase the risk of nuclear conflict between India and Pakistan for at least two reasons. First, Pakistani military commanders could lose the ability to prevent the use of such weapons, which would be more portable and mobile than Islamabad’s current nuclear weapons and delivery vehicles. “Second, Pakistani forces may launch non-strategic nuclear weapons in order to counter possible Indian preemptive attacks on those weapons’ launch platforms,” it said.